The number of the mobile phone user is increasing tremendously in the current trend. Due to improving innovations and evolving expectations, Mobile apps are becoming integral part of all type, small or large business. As trends change, marketing rules and online became a prominent environment for an audience. Customers are demanding more outstanding and efficient systems, and hence, it’s time for restaurants to switch to new technologies and innovations mobile app. 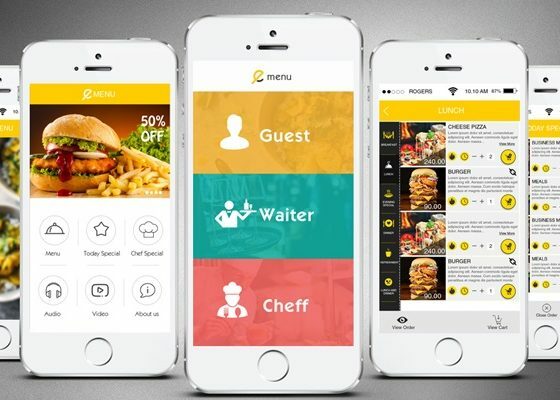 Efficient food ordering app development company focuses on numerous features. Numerous important features enrich the user experience and also reduces the operational staff workload. Some of the important benefits of Restaurant app development are listed below. Food ordering mobile app provides complete information about the order and user review. the app provides information related to the ordering time, frequency, preferred foods, overall market expectations, and feedback on the quality of service and dishes. Basically, it provides the complete overview of the market. Choosing a Custom Restaurant app development service for restaurant absolutely make sense. The restaurant app will treat each customer as special and also helps to share the information with friends and social media. Having a restaurant app is the most effective way to get recognized in the market. The business owner can also encourage the customer to share, refer and comment on the food and services which in turn increases the popularity. Push notification which is free from tool helps to send notification about offer and coupons to the customer which engages more customize in a long stretch and gains loyalty. Few cases the Employees try hard to identify the listen to the customers due to the bad weather or inordinate signal and It’s quite annoying for both parties. App provides complete information on the order location, payment option hence it reduces the operational part of stuff. It also provides multiple payment options and provides many opportunities for customization of the order. The app facilitates easy ordering and in few cases, it will also appreciate a convenient opportunity to return orders through the app. App provides the complete list of the favorite food and helps to order favorite food in a matter of seconds. The business owner can also enjoy up-sales and enlarged orders in desserts, side salads, add-ons, etc these are things, which always work well through mobile. The mobile app acts as is a lead generation channel. Implementing various mobile marketing strategy around will increase sale in the long stretch. A business owner can target the customer and sends the message about the offer, coupon, and discount on various occasion. Special lunch offer to the target customer on the signature food will increase the sale and natures loyalty.